Storm is a comic book character that hasn't gotten a lot of recognition on the big screen, which isn't a huge surprise, she's a Black woman. We hardly get full rich stories about ourselves in movie theaters, so a fictional Black comic book character is nowhere on Hollywood's radar. With the buzz surrounding the upcoming Black Panther film, I would only hope his love interest Storm will have a full featured film in the future. Writer and fan Maya Glick set out to to change this by taking matters into her own hands. Glick, who says that she was “dissatisfied with the complete lack of empowered women of color in Hollywood’s superhero pantheon” decided to create her own fanmade film. The end result was Rain, a 23-minute long short film, 2 years in the making. 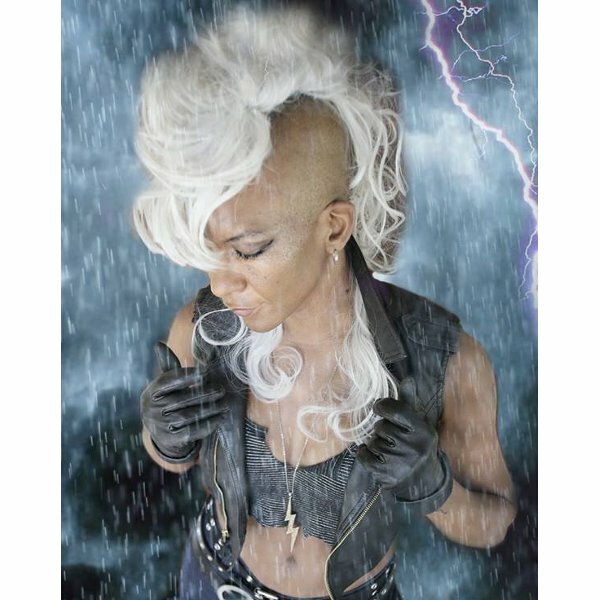 Rain stars the “Punk” incarnation of Storm, which was briefly featured in the comics in the 1980’s. During this time period, Storm temporarily lost her powers but proved her skills as a fierce fighter. Glick, who paired up with directors Zane Rutledge and Jeff Stolhand and producer Matt Joyce, alongside ZaneFX studio or visual effects, artfully performs her own stunts. Watch Rain, below, in its entirety, and remember to keep watching after the credits roll. Would you want to see a featured film all about Storm? Let us know in the comment section below!